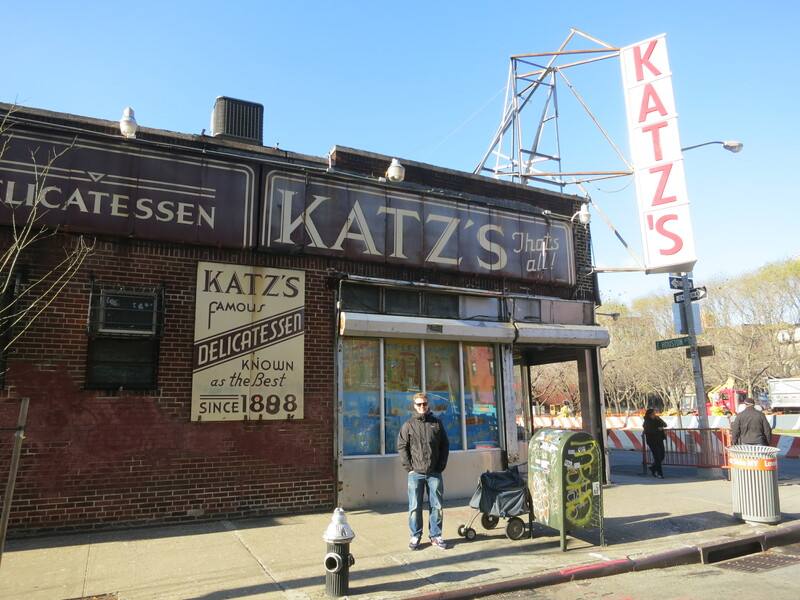 Another spot on Anthony Bourdain’s 13 Places to Eat Before You Die and deserving of the spot it is! 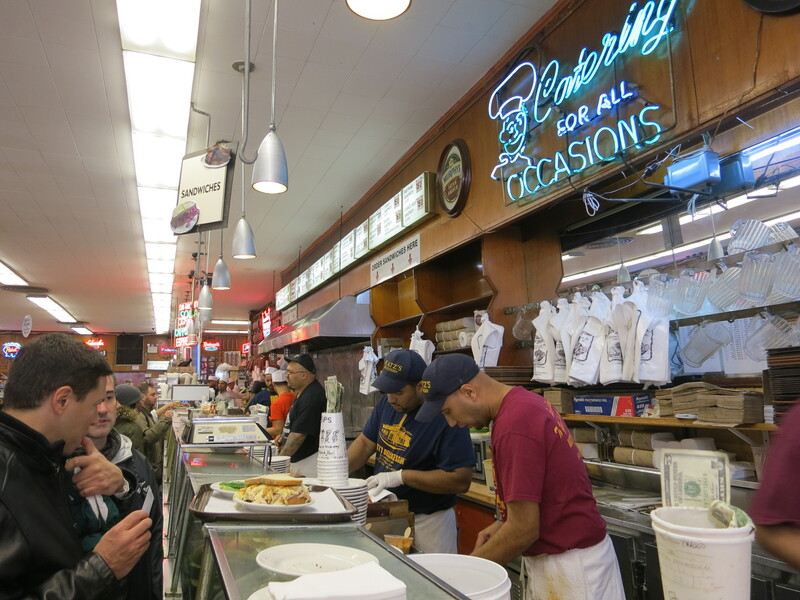 A New York legend, the deli sits in the same spot it was founded in in 1888. 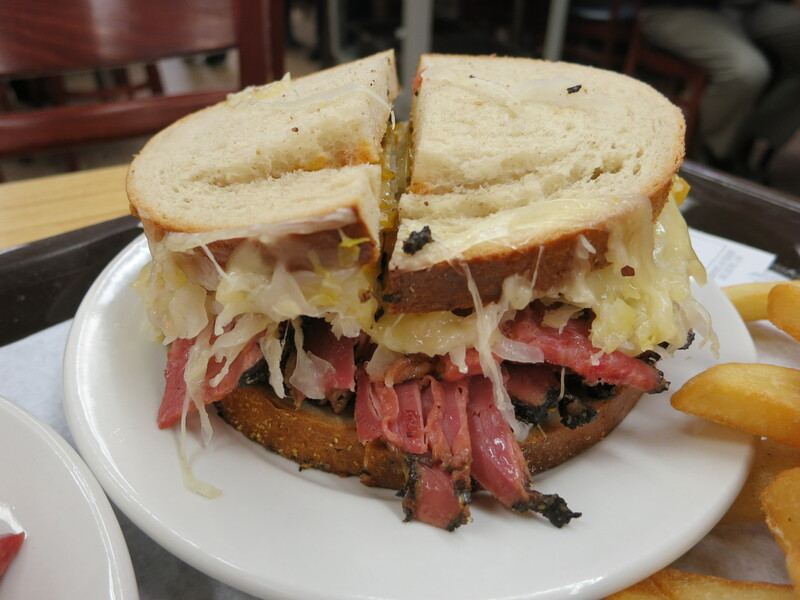 Known for their pastrami my husband and I decided to split two ruebens, one made with corned beef and the other pastrami. Pastrami was the winner but both were excellent! Once you order your sandwich, the kind people behind the counter will give you a slice of whatever meat it is your ordered. 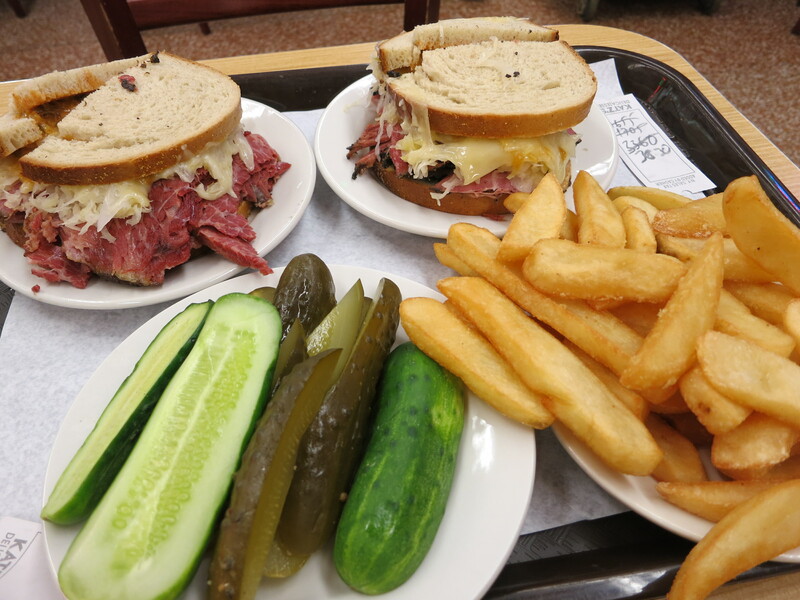 Ours was hot and damn good…definitely makes you anticipate the sandwich even more:) You also get these two kinds of pickles with your order. My favorite were the dills. 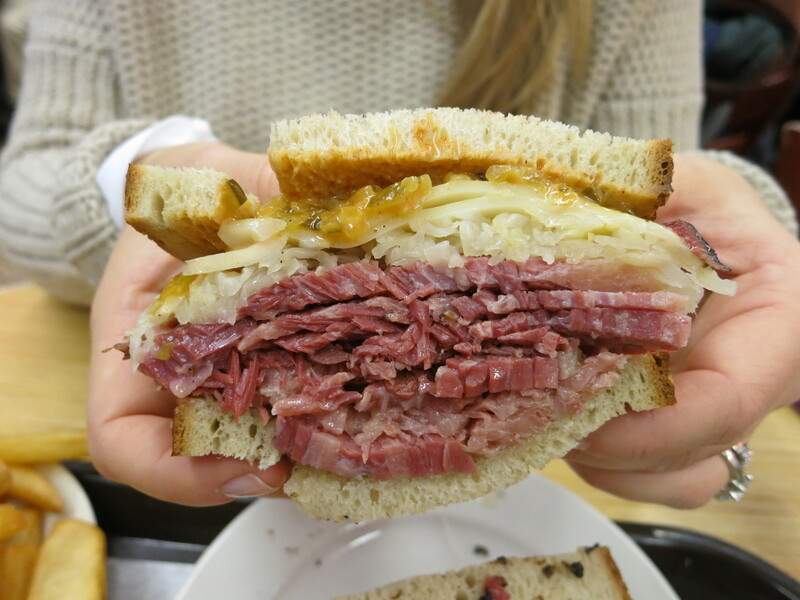 The pastrami rueben… and the corned beef…yes please! OMG – so much meat! The first photos looks like Ira might be delivering the mail with that mailman mail cart next to him! Ha!